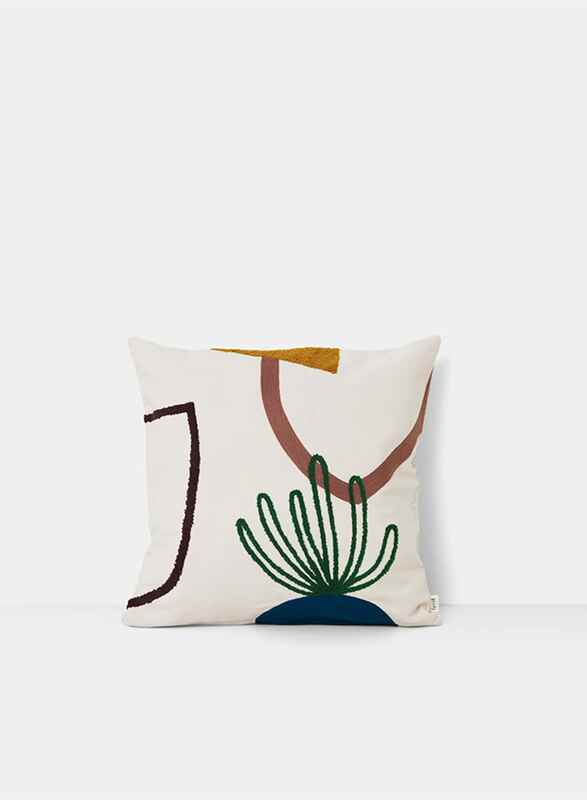 This Island Mirage Cushion from Ferm Living is hand-woven 100% cotton canvas with high and low pile embroidery. Includes feather and down filling. La Fabrika in Brussels, Belgium.